On the tail end of a rather dull week in oil markets, crude prices recovered on Thursday and Friday following the Trump administration's announcement that the U.S. will move its embassy in Israel to Jerusalen. After sinking for much of the week, oil prices recovered slightly on Thursday and Friday. Analysts attributed the rise to tensions in the Middle East after the Trump administration announced the U.S. would move its embassy in Israel to Jerusalem, a move that was met with widespread protest in the region. 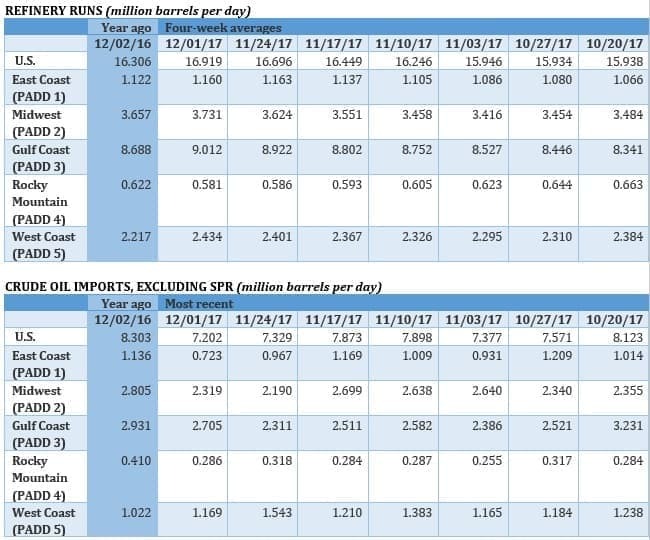 Meanwhile, data from China showed strong crude import data for November – imports jumped above 9 million barrels per day, up from 7.3 mb/d a month earlier. China’s Sinopec sues Venezuela’s PDVSA over missed payments. In another sign that the cash crisis in Venezuela is bleeding into its oil operations, China’s Sinopec is suing PDVSA over missed payments for an order of steel rebar. According to Reuters, Sinopec’s lawsuit is seeking $23.7 million for a breach of contract and conspiracy to defraud. The case is also significant because for years China was one of the few main backers of Venezuela, offering the cash-strapped nation more than $50 billion in loans over the past decade in exchange for oil shipments. The complaint suggests “patience is getting really thin at this point,” Mark Weidemaier, a law professor at the University of North Carolina and an expert on international debt disputes, told Reuters. 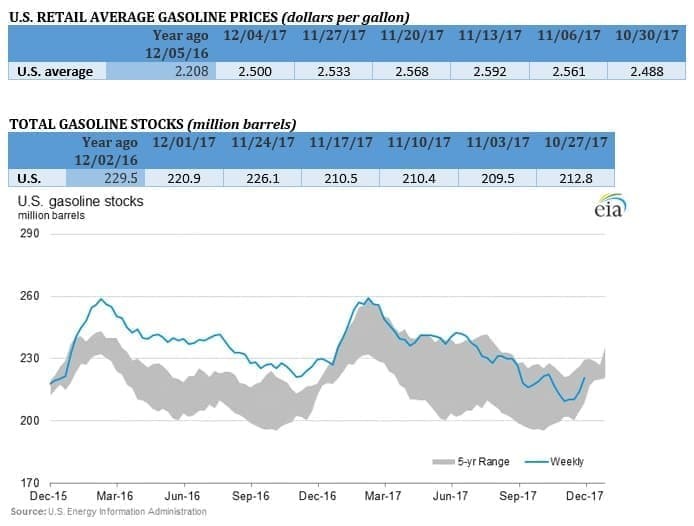 “This is a further sign of frostiness in the Chinese-Venezuelan relations.” Related: Are U.S. Shale Stocks Finally Set For A Rebound? U.S. Secretary of Energy visits Middle East, pushes American LNG. U.S. Secretary of Energy Rick Perry trumpeted the opportunity of U.S. LNG for the Middle East in a visit to Abu Dhabi this week. “We want to be in the mix of LNG suppliers for the Mideast,” Perry said at the news conference. “Creating a relationship, having these conversations is good, it gives the U.A.E. some options.” Jordan, the UAE and Egypt have occasionally purchased LNG cargoes from Cheniere Energy’s (NYSE: LNG) Sabine Pass facility over the past two years, according to Bloomberg. Qatar is the largest LNG exporter in the world, but the deep rift between them and other Gulf countries led by Saudi Arabia opens up an opportunity for other suppliers to fill the void. Alberta unveils details of carbon pricing for oil industry. In an effort to slash greenhouse gas emissions by 19 percent by 2030, Canada’s oil-producing province of Alberta announced details of how it will charge the industry. Large emitters (any facility emitting more than 100,000 tonnes of carbon a year) would have to meet a benchmark set at 80 percent of production-weighted average emissions, according to Reuters. If a facility fails to hit that target, it has to purchase credits at a cost of C$30 per ton. Those that reduce their emissions below that threshold can accumulate credits. The provincial government said it established the target in consultation with the oil sands industry. “This plan is an important step forward in addressing climate change as it will incent those facilities with the lowest emissions intensity,” a spokeswoman for Cenovus Energy (NYSE: CVE) said. Ford betting on EV boom in China. Ford (NYSE: F) says that China will be the most attractive market for electric vehicles as it steps up its efforts to accelerate EV adoption at a time when the U.S. is scaling back incentives. "I do think electric vehicles make sense. For a lot of reasons it's a good way to go around the world and so I am a big believer in it … We are betting very heavily in it," Bill Ford, executive chairman at Ford Motor Company, told CNBC Wednesday. "The entire Ford nameplate will be electrified by 2025 here,” Ford added, referring to its lineup in China. Houston emerges as key oil hub. The WSJ reported that Houston is beginning to rival Cushing, Oklahoma in terms of its importance as an oil hub in the physical market for crude, as well as its significance in the oil futures market. 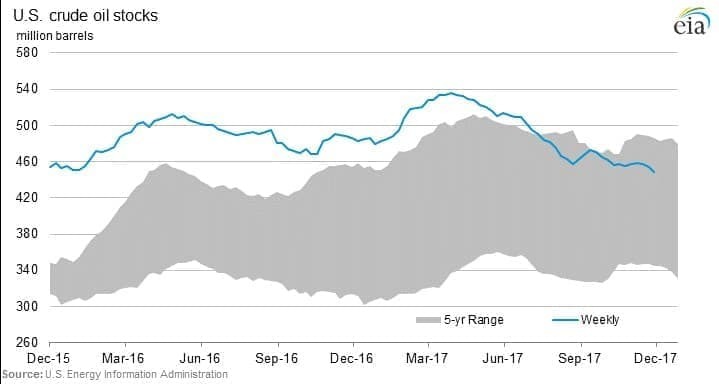 The price for WTI in Houston has typically traded at a $2 per barrel premium to WTI in Cushing, reflecting the cost of transport. 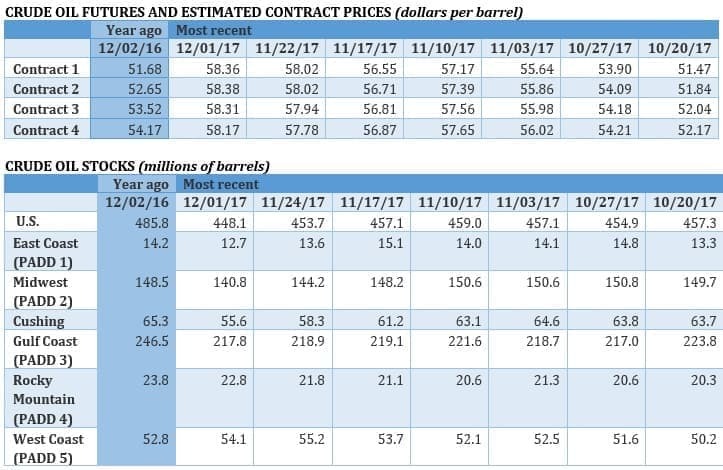 But that premium has widened recently to as much as $5 per barrel, the result of strong demand from buyers around the world. 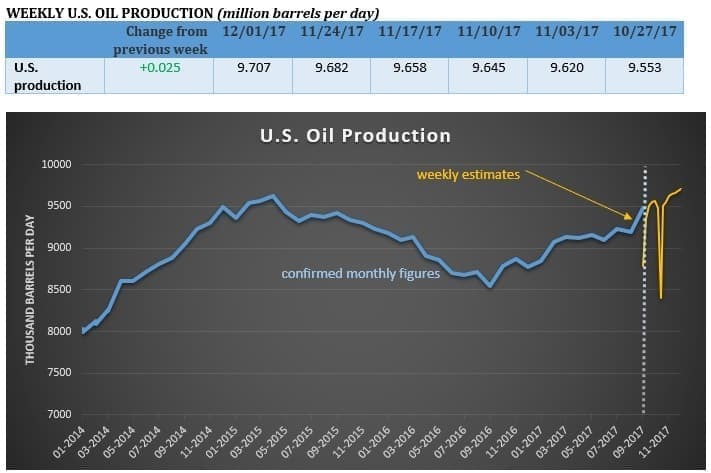 The reason is that the U.S. has become a significant oil exporter, and a lot of oil is flooding from the Permian straight to Texas ports in and around Houston, reaching the global market without ever being routed through Cushing. In short, Houston is becoming more and more important to the global oil market. “Cushing is becoming irrelevant,” Philip Verleger, an energy economist, told the WSJ. Alaska lease sale disappoints. A lease sale for vast territory in the National Petroleum Reserve Alaska (NPR-A) only received seven bids, representing less than 1 percent of the territory offered. The results reflect a lack of interest from the oil industry, and is even more significant as the U.S. Congress moves closer to opening up the neighboring Alaska National Wildlife Refuge (ANWR) for drilling.